Phone unlocking is always one of those hot-button issues when it comes to mobile freedom, but most consumers buy their phones subsidized by the carriers through contracts. These phones are locked to their respective carriers, making it difficult to use them as leverage to leave for another provider. Canada’s ‘Big 3’ incumbents, Bell, Rogers and Telus, each announced phone unlocking policies in 2010-11 wherein monthly subscribers on an expired or no contract could pay a flat fee to unlock their phones. Since then, Bell has apparently ceased the policy without officially announcing anything. Rogers will unlock handsets on both brands (Rogers and Fido). Customers can choose to unlock wireless devices 30 days after their term commitment expires and their contract terms are settled or after they purchase their device at full cost. 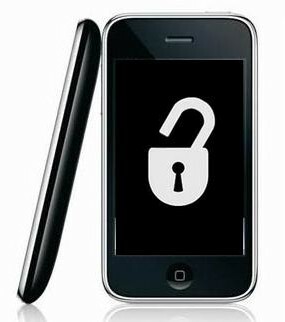 We charge a one-time administrative fee ($50) to unlock a handset. While we can unlock the majority of GSM phones, in addition to possibly being “locked” to their network of origin, phones and other GSM/GPRS devices purchased from other carriers may not be fully compatible with the Rogers Wireless network and services and may not work reliably or have full functionality. We will not be able to properly support and service any wireless device that has not been specifically designed to operate on the Rogers Wireless network. When asked if there were any phones exempted from the policy, a Rogers spokesperson said that all handsets, including premium ones like the iPhone 4S and Samsung Galaxy S II LTE, are part of the policy. Telus had announced its policy start date for February 15, 2011, saying it would unlock any phone it offers for a flat fee of $50. The policy further stated that eligibility for the service required that the customer be a Telus subscriber with a monthly plan, have a phone connected to the network for at least a 90-day period, and that the phone “qualifies” to be unlocked. 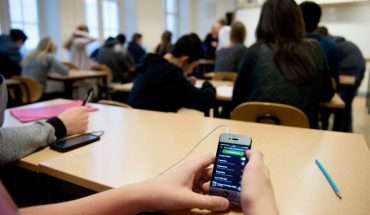 The policy applied equally to cases where the phone was purchased at the full, unsubsidized cost. The language used in the policy seemed to indicate that all phones were covered, but the iPhone appears to be the key handset exempted. The reason given is because of “technical limitations”, which may be jargon for Apple’s restrictive end user licensing agreement that voids the warranty when the phone is unlocked or jailbroken. There has been no change to this policy since, and there are no plans to, either, but according to Telus, there is an ongoing process to bring iPhone unlocking into the carrier’s overall service offering. The technical limitations impeding this are difficult to ascertain, and Telus doesn’t describe them in any detail on their website. The key difference between Rogers/Fido and Telus in this regard is that Rogers won’t unlock a phone that is already under contract, whereas Telus will. As is, Rogers and Fido are the only carriers willing and able to unlock an iPhone in all of North America. The downside, as mentioned previously, is that your contract term has to expire to take advantage of that. Despite all this, there are a wide number of iPhone unlocking options that have popped up on the Web, usually for a fraction of the price of the carriers. If there are any questions from you, the readers, please comment and we can address them with our contacts at the carriers. 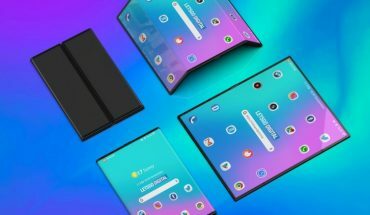 Who will triumph in the Foldable Phone segment? Too bad we couldn’t swap. I got a iPhone that’s locked in with Bell and the unlocking fees through third party are crazy. Way more than the $50 I was told, and my current carrier is Rogers. I had an iPhone 4 through Bell for my son and he washed it ( yup I know) anyway my friend gave me her old iPhone 4 she wasn’t using not thinking it was a different carrier all I had to do was fix the cracked back screen…no big deal it was 50$. Come to find out Rogers will not unlock the phone for us because it has not been under contract for over a year. What they want to charge me is an activation fee, 3 months worth of a plan, a deactivation fee then an unlocking fee. Way more then the 50$ on the website. I called Apple for help and they were absolutely no help at all (very disappointing for the company the prides on quality) so if you get a phone that is locked with Rogers and is not out of contract for 30 days or under you basically screwed. Unless you go to a third party and pay 150$ plus I have yet to find another way. My iphone 4s is under contract with rogers so according to this I am not able to unlock my iphone with rogers. However, can I still get it unlocked through one of the various websites online? If so, will rogers find out and will I be fined? Is this against the rules for me to get my iphone unlocked through other means? There’s no technical reason impeding the unlock of any handset. See Brazil, for example. By law, anyone can ask the carrier to unlock it’s set, being it under term contract or not. Usually one leaves the store with it unlocked. It’s very unfair to have a set after the term still locked, since you have payed indirectly for it by means of a greater monthly bill when you buy subsidized.